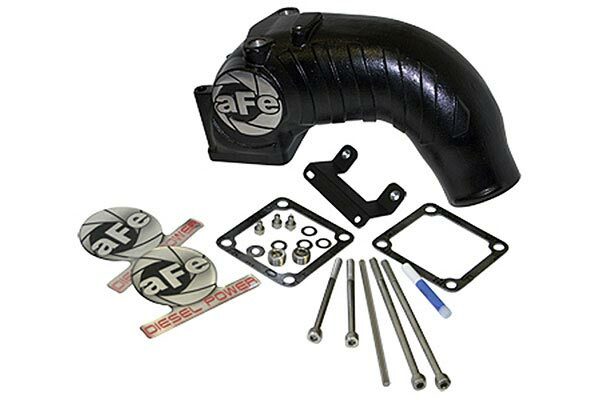 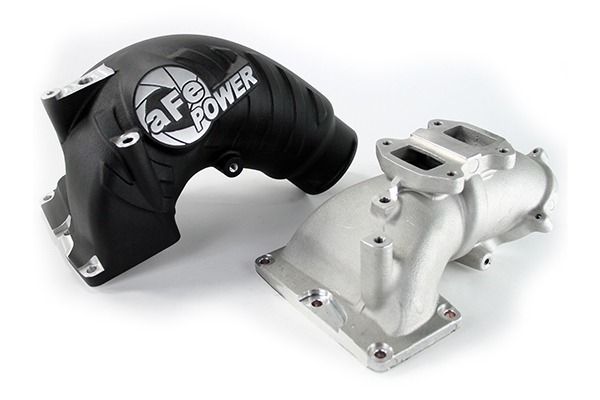 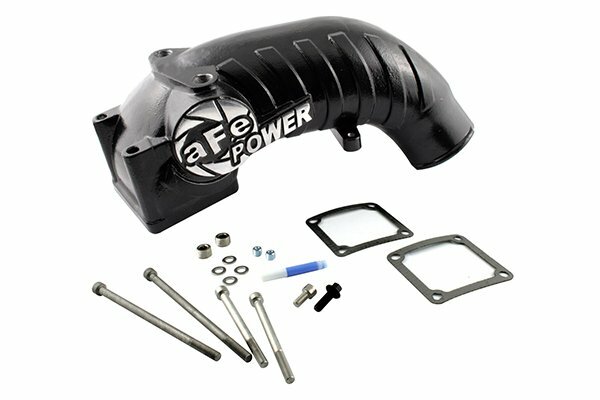 aFe 46-11011 - aFe BladeRunner Intake Manifold - FREE SHIPPING! 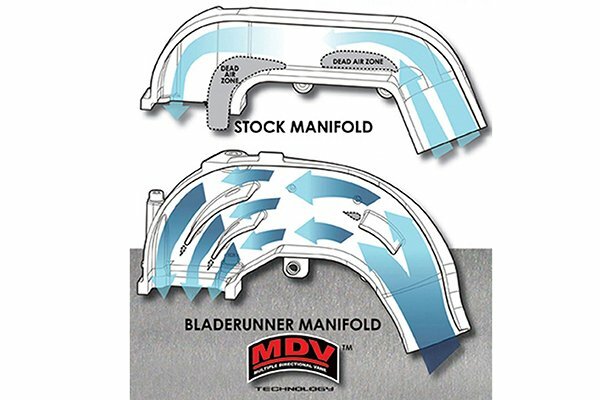 Diagram showing how the MDV (Multiple Directional Vane) Technology does not leave any 'Dead Air Zones' like a stock manifold; thus increasing air flow. 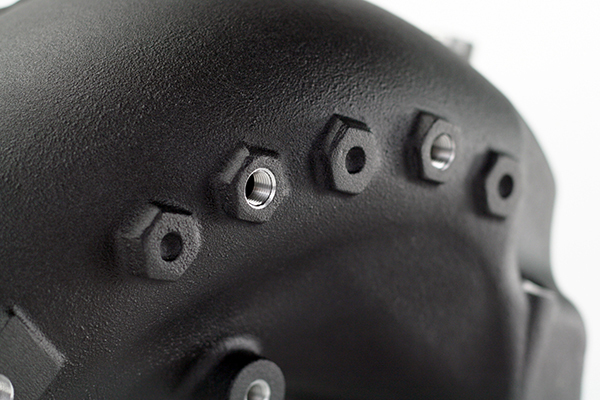 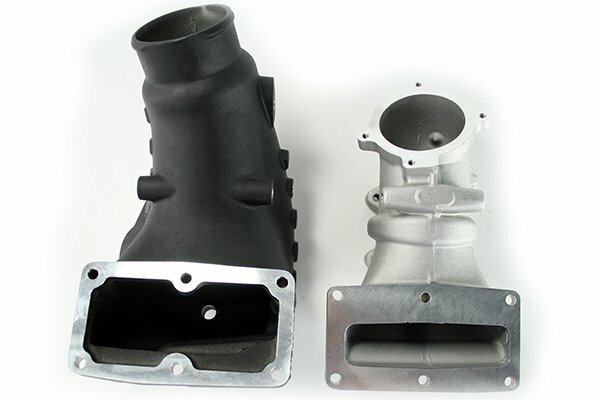 Five Auxiliary Ports: This intake manifold comes with 5 auxiliary port pads (2-tapped at 1/8" NPT) for use with gauges, temp sensors or nitrous oxide systems. 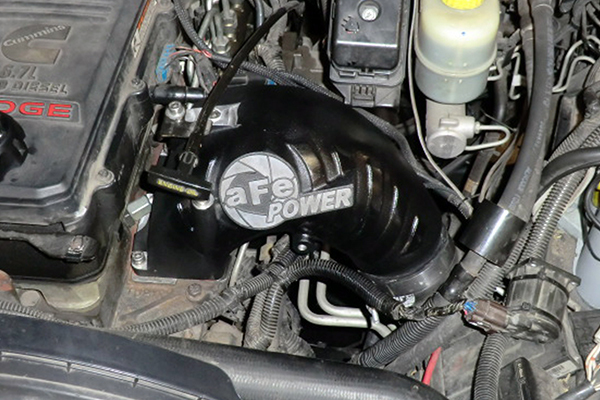 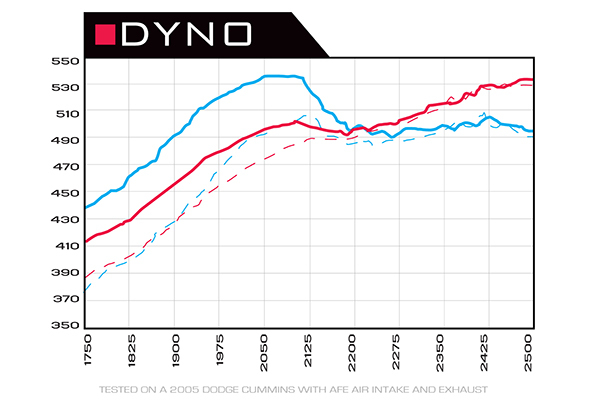 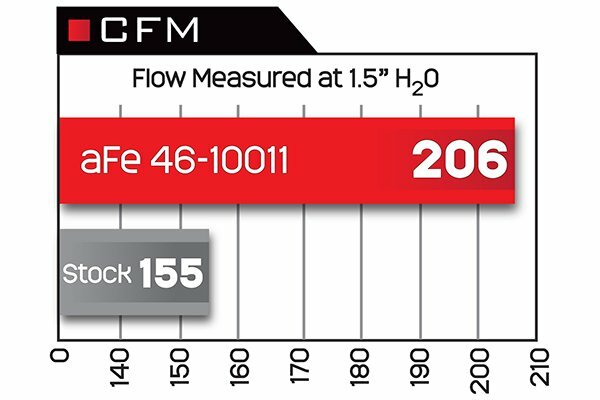 opening of the aFe Manifold compared to the stock. 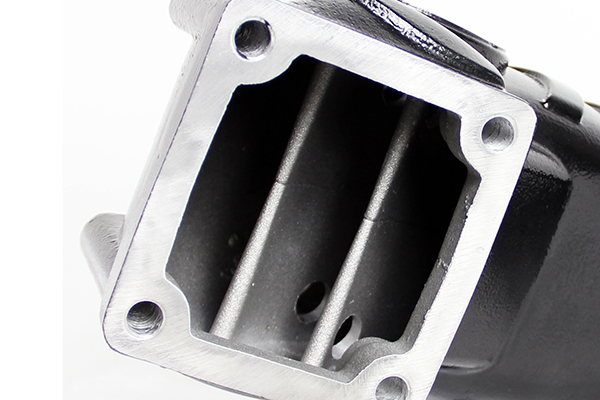 The larger opening ensures more airflow. Hassle-Free Installation: This intake comes complete with all necessary hardware and bolts to the factory location for a hassle-free installation. 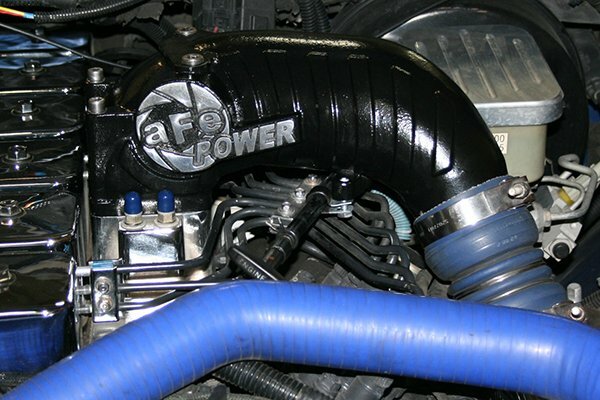 This system uses factory dipstick location. 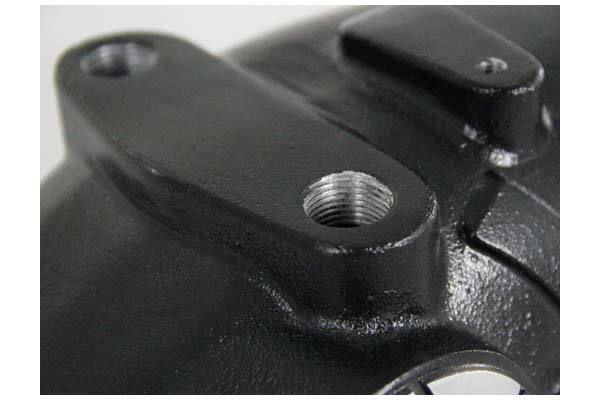 Reference # 765-164-850 © 2000-2019 AutoAnything, Inc.